The PreSonus Brit Comp is a Fat Channel compressor plug-in, which is state-modeled to accurately capture the unique sound and response of the original hardware processor. 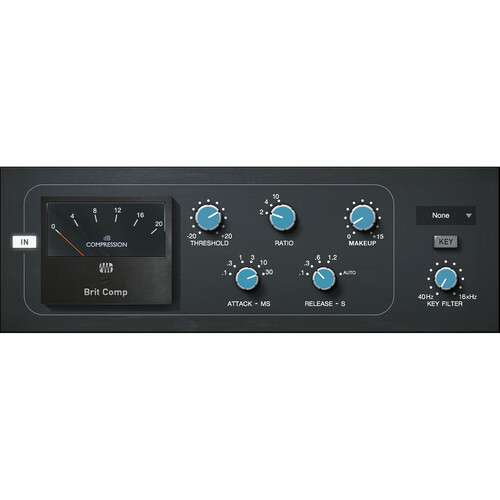 The Brit Comp emulates the design of a twin-VCA gain-reduction amplifier, ideal for taming piano dynamics or adding punch to drums and percussion. The plug-in comes in both StudioLive Series III format and Studio One format, so you can use it in both mixer and DAW Fat Channels.